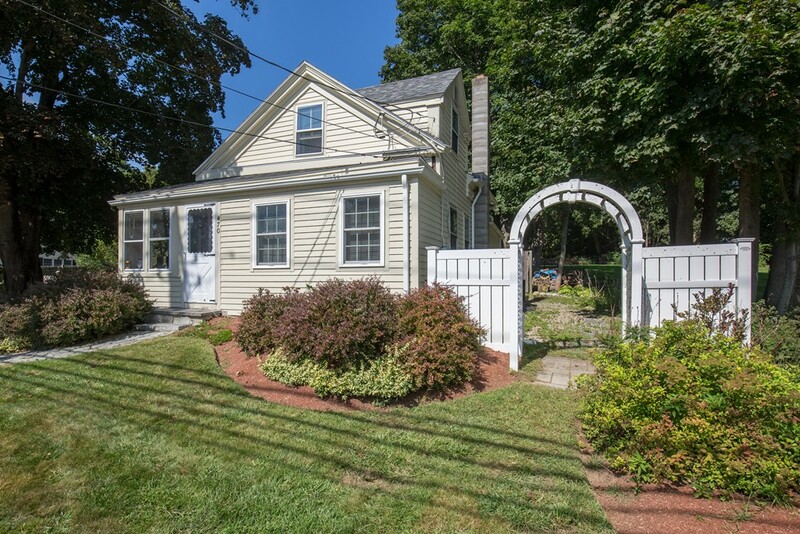 Rare West Newbury 2 family conveniently located on a lovely landscaped lot, with 19 year septic & newer roof. Perfect for owner occupied w/ excellent rental income towards mortgage. Each unit lives like a single family home; Front unit with 1st floor master bedroom or family room, 1/2 bath w/ laundry hookups, desk/shelves next to stairway makes for a cozy hallway office, 2 sweet gabled bedrooms upstairs & full bath, enclosed front porch & access to unfinished basement. Rear unit, circa 1980, features private stone patio access through slider & serene views of back yard, 1 st floor & 2nd floor bedrooms, full bath w/laundry, unique attic space storage & shed storage. Both kitchens are modern, fully applianced w/ gas stoves. Separate heat, utilities. Solid rental history; current rents below market with great tenants. So close to town for shopping, great pizza, parks, Merrimack river, commuter routes, Newburyport/Plum Island Beaches! the tenants so hookups only in front unit.